Help protect Minnesota’s Boundary Waters from mining for the next 20 years, take action to tell the Forest Service to protect the Boundary Waters. 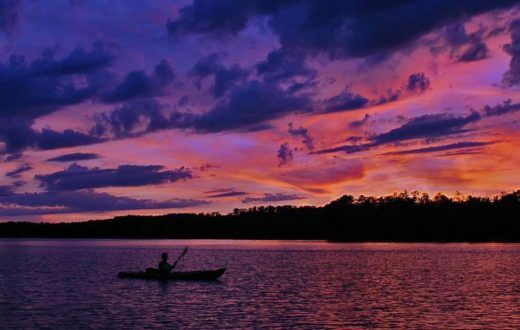 Guest post by Samantha Chadwick is a part of our America’s Most Endangered Rivers® series spotlighting the Boundary Waters Canoe Area Wilderness. The Boundary Waters Wilderness’ lakes, rivers, and forests cover 1.1 million acres in Northeastern Minnesota. This amazing landscape sees paddlers, hikers, skiers, and dog teams cross its landscape in all seasons. 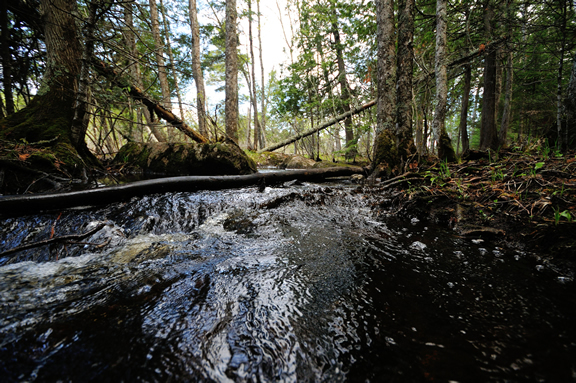 Faced with the threat of pollution from sulfide-ore copper mines proposed near waterways that flow into the Wilderness, supporters from across the state and even the world have rallied to urge for protection of the Boundary Waters. The Campaign to Save the Boundary Waters is leading the effort to gain permanent protection for the Wilderness. 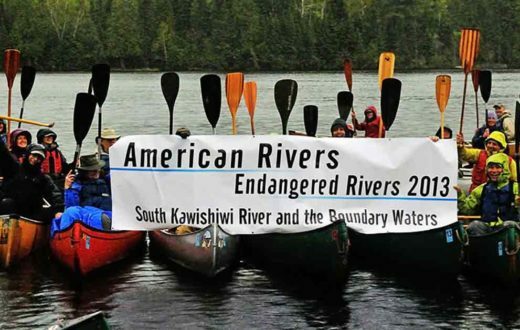 American Rivers is one of 36 groups in the coalition and helped launch this effort and bring attention to the issue when it listed the Boundary Waters region in the 2013 America’s Most Endangered Rivers® report. Earlier this winter, clean water supporters celebrated big news when the U.S. Forest Service announced it would not consent to the renewal of Chilean-owned Twin Metals’ mineral leases adjacent to the Boundary Waters, and announced the beginning of an environmental review of the watershed to determine if it is the wrong place for sulfide-ore copper mining. The Campaign to Save the Boundary Waters is proud of our efforts that led to these new developments, and we know we could not have done it without your support. Regardless, more needs to be done to achieve permanent protection for America’s most visited wilderness. The U.S. Forest Service and the Bureau of Land Management will spend the next two years studying the Boundary Waters Wilderness and its surrounding watershed to determine if sulfide-ore copper mining should be prohibited for up to 20 years. 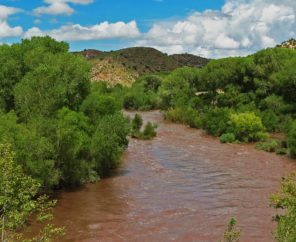 The agencies are taking public comments on the proposed protections now through August 17, 2017. Supporters can speak out by submitting a comment online. The U.S. Forest Service and Bureau of Land Management are holding a public comment meeting Thursday, March 16, in Duluth, Minnesota. We invite everyone who is able to make it to join us and voice their support for Boundary Waters protection during the environmental review. The future of the Boundary Waters depends on those willing to speak up for this “quiet wilderness.” That’s why on February 23, Sportsmen for the Boundary Waters and the Campaign to Save the Boundary Waters launched the Boundary Waters Business Coalition. More than 200 Minnesotan and national businesses, small businesses, outfitters, manufacturing companies, hunting and fishing businesses, and others rely on and support the world-class Boundary Waters Wilderness for employment and quality of life. Despite our current momentum, the threat of sulfide-ore copper mining within the Boundary Waters watershed remains. 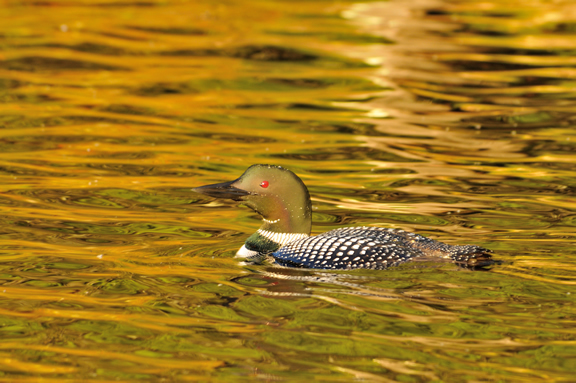 We faced opposition already in 2017 when Minnesota Congressman Rick Nolan urged the new administration to rescind the recent decisions that protect the Boundary Waters. Representative Nolan’s ask to halt this existing environmental review disrupts an essential process that will help determine whether this watershed is the wrong place for sulfide-ore copper mining. 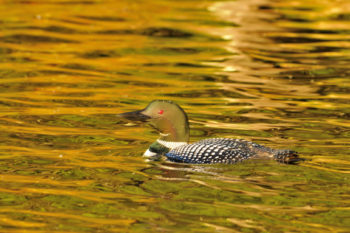 Now is the time to take action and speak up for the Boundary Waters! We need to work together so that hundreds of thousands of people speak out for the Wilderness during this comment period that lets Minnesota and federal decision makers know what you think they should study during the environmental review, like the sensitivity of the Boundary Waters’ clean water to pollution, the value of this place, and its economic impact on tourism and outdoor recreation. We can’t do that without you. So join us and speak up and show your support by taking action today. 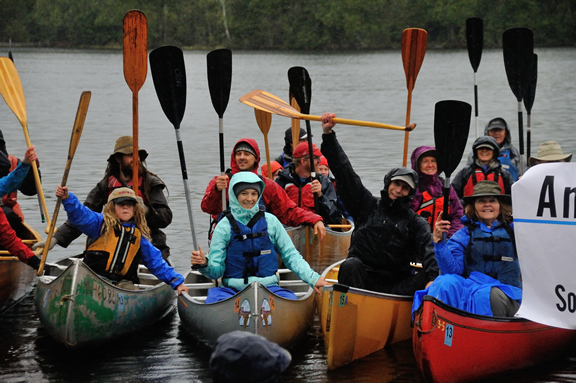 If you would like to do even more to help, join Save the Boundary Waters’ Wilderness Warriors group, which is dedicated to taking weekly action to protect this amazing canoe country. Thank you for speaking loudly for this quiet place. 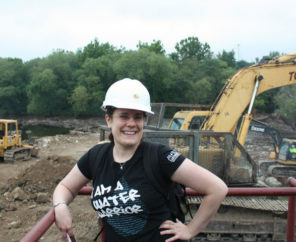 Samantha is the Deputy Campaign Manager for the Campaign to Save the Boundary Waters, which is leading the efforts to protect the Boundary Waters Wilderness from sulfide-ore copper mining. I don’t believe there should be ANY mining, oil rigs, fracking, or pipelines running under or near rivers. The flood plains should be left alone. Eventually, nature will take it back. We must protect nature at all cost for future generations. RIVERS ARE THE WORLD’S LIFEBLOOD!! People can NOT live on air alone. We and future generations have to have fresh drinking water to survive.